Notes: The links above will take you to relevant posts here on E2R. AD refers to AD70 and the End of the World and the relevant chapter number (eg: AD11 = chapter 11). TW and TQ refer to The Gospel in Ten Words and The Gospel in Twenty Questions respectively and the numbers refer to chapters (eg: TW2 = chapter 2 in Ten Words; TQ19 = chapter 19 in Twenty Questions). H refers to The Hyper-Grace Gospel with the relevant section/part number (eg: H-B4 = Part B, myth 4; H-C5 = Part C, chapter 5). Please report any errors or typos using the comment form below. Return to Escape to Reality. This is going to be über-helpful. I was looking up kings. Where the prophet asks his friend to hit him so he refuses and God has a lion kill the friend, also where the bears maul 42 children for mocking a prophet. These stories sound crazy to me. Why wuld a god do that and I cannot understand stories like this through the lens ofnchrist. Help? Thanks. I am not an authority in Bible interpretation, but in light of no other explanation given, I offer my view for you to consider. I have learnt to interprete those scriptures in light of God’s love nature. What I mean is that, after seeing the Father’s true nature displayed by Jesus, I now see such things is in light of the limited revelation man had before Christ. You see, before we could have God’s Spirit indwelling in us and even before Christ came to personify God (Emmanuel; Heb 1:3), man just assumed everything was God’s doing. Even to this day we attribute nature’s disasters as “Acts of God.” The truth is that most of these things can and should be attributed to Satan, who through God-given authority to man, illegally became the god of this world (2 Cor. 4:4). Spiritually dead people cannot understand most of these life events, and as such, they just find a way to cope with the “mysteries.” As new creation in Christ, we not only can see Christ as the “…brightness of God’s glory and the exact representation of His person” (Heb 1:3), but we have Him as our life. We are now spiritually alike to spiritually discern right from wrong. Amazing response, the true revelation of the father is found in christ. Many did not know the father in the old testament as revealed by Christ and because of this lack of knowledge of the true nature of God the pre-cross man attributed anything they didnt understand to God. Hi Peggy, all scripture is inspired but “inspired” doesn’t mean it’s “true” as if God spoke it himself. Jesus himself(matt5) pointed to “men of old” saying things that were not God’s intention. In short, everyone everyone everyone before Jesus struggled to describe and live the true nature of God. John the Baptist was said to be the greatest prophet because he pointed to Jesus. most accurately. He literally said”there he is”. Even John didn’t see the complete picture. Jesus said, “love your enemy”, “forgive your enemy”, “make no account of wrongs”. These statements were always, from the beginning of time, God’s nature and intention but men were inspired only slowly and incrementally to understand God in ways other than their neighbouring nations . All their neighbors saw their god’s as angry retributive vengeful punishing god’s. We must interpret scripture through Jesus. Scripture doesn’t help to interpret scripture if we begin with the wrong knowledge of who God is. Jesus is the perfect image of God, Jesus actions and words were as Gods own actions and words. with god’s of their own making, just as we do now. That’s a subtle way of thinikng about it. Thank you, Paul. This will be very helpful! Thank you for your ministry. 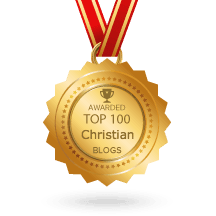 Your blog is a constant encouragement for me. I was wondering if you had any thoughts on 2 Corinthians 13:5… a rather well-known evangelist was quoting this on Twitter to instruct us that we need to check our behavior to see if we are in the faith or not. I believe all scripture was inspired. “There was a violent earthquake, for an angel of the Lord came down from heaven and, going to the tomb, rolled back the stone and sat on it.” What’s to explain? We can only guess. Maybe the angel was 500 feet tall and weighed a million tons. Maybe the power of God was so strong that nature itself reacted. Paul Ellis you are quoted in a book . is it approvable for someone to quote you in his book as I saw ? Now I know my LORD, and his business is all about see, hearing and understanding, so somehow I’m pretty sure it’s most likely my lack of understanding. But could you clarify this for me? sir could you please explain to me if whether God tests us? if yes then why? if no then why did he test Abraham and Israel through wilderness? the Bible commentary I`m using has turned out to be Calvinistic in it`s doctrine,could you suggest a non Calvinistic commentary. I have greatly been liberated from self-hatred and even a desire to die by the preaching of “hyper-grace”. Someone tossed Philippians 3:10-16 my way. I’m really curious what you have to say about these verses, because I would certainly like to have peace about them. What is it that Paul has not yet taken hold of? Why does he want Jesus’ sufferings? How could he somehow “attain” the resurrection? And what is “living up to what we’ve already attained”? I sincerely appreciate your response. So appreciative, teacher. I trust Jesus’ grace will continue to flourish you before all opposition. I have recently seen a statistic that everyone who makes $25,000 or more each year are richer that than 48% of the world (I’m not sure if that is accurate or not). Which made me think about Matthew 19:24. What are your thoughts on wealth, and is there an article on here that would answer my questions on being a wealthy Christian? Sorry I posted on this page, but I couldn’t find another article to post on. Thanks. Does anyone have any insight into Ezekiel 24:15 where God kills Ezekiel’s wife? This passage has troubled me for a while and no one seems to have any grace-filled answers for me. What revelation have you on 2 Thessalonians 2:3, which is often used to condemn hypergrace? That’s an interesting point for sure. Sometimes I feel the same way as well. I think that there has definitely been a move in Christianity of trying to understand the grace of God which is wonderful. But sometimes it feels as though we try to fit all of these scriptures into the “grace box” rather than accepting them for what they are. I don’t know…I’m no expert but I definitely think that no group or denomination can fully grasp all there is to know about God and when you believe you know it all that’s when a group can get in trouble. That happens in many churches when they become a band aid instead of a life saving medicine. After all the verse says that we do not need anyone to teach us because we have the Holy Spirit in us, so when we glorify what teachers have to say (even if they are grace teachers) above his revelation that’s when we get in trouble. I’ve tended to get turned off lately when I hear believers talk of ‘godliness’. It seems to always be tied to my activities and what I’m doing and/or not doing. Paul, do you have any insight on this? On the surface it sure seems that there are some works to be done here. Is this passage directly applicable to us today? Is it more for a teacher or preacher instead of myself who is not. I didn’t receive a counsel of elders or a special prophecy like Timothy did. I’m fairly certain Paul wasn’t preaching a doctrine based on Timothy the Saviour – “save both yourself and your hearers” – especially since he’s just referred to God our hope and the Saviour of all men (verse 10). Since there is no chance that Timothy can actually save himself, we need not fear that he can unsave himself. Sometimes it helps to flip these verses around and look at the opposite meaning. Paul is exhorting Timothy to persevere. “Don’t neglect the gift.” What would happen if he did neglect the gift? Timothy would have difficulty. He wouldn’t enjoy God’s grace. He’d be fruitless. He wouldn’t walk in the blessing God has provided. And because he’s not blessed, others wouldn’t get blessed. Paul has just told Timothy that godly living has value for all things. If you are immoral, drunken, violent, quarrelsome and love money you’re going to be miserable and people will hate you. Paul has also told Timothy not to neglect his gift of preaching and teaching. If Timothy neglected this gift, folks might not hear about God the Savior and might not get saved. Just my quick thoughts. Can you help us always have a grace filter. Trusting in jesus insuch a way that i receive therapy thru psalm 37 and just asking the holy spirit to go sic em (speaking of my recepters toward sin) is helping. How do Rev. 22: 12-19 fit into free grace theology and eternal security? Verses 12 and 14 particularly trouble me. Nothing from your heavenly Father should trouble you or make you anxious. What creates anxiety is uncertainty regarding his good intentions for us. Rev 22:12 refers to the reward Jesus brings with him. No doubt some use these words as carrots to motivate works-based religion, but that is not the sort of reward Jesus brings. I have written several posts on rewards under grace. You can find them in the Archives>Subject Index. Rev 22:14 is about washing your robes. Much of the new covenant is about exchanging our stinky self-righteous garments for the robes of his righteousness, but the metaphor here refers to washing our robes. How do we do that? In the blood of the Lamb (see Rev 7:14). Only those made clean by Jesus can enter through the gates into the city. Thank you for your gracious response. I’ll definitely follow through with studying the archived teachings on rewards. Your writings and lessons are most helpful, especially for folks like me who come from a very legalistic Christian background. Salvation purely by grace really does at times seem almost too good to be true. It is absolutely wonderful! “Grace” preachers such as yourself and Joseph Prince have opened my eyes and heart to how extraordinarily loving our Lord is. Thank you so very much. Hi Dan, you’re welcome. I presume you are referring to the NIV which says “The Lord will punish all those who commit such sins.” This is a poor translation of the word ekdikos, which in almost every other translation looks something like this. “The Lord is the avenger in all these things.” God is not a punisher, but an avenger, meaning, he’s in the business of making things right. When we are unjustly treated the temptation is to take matters into our own hands and settle accounts. James and John tried to play the judge, jury and executioner and Jesus wasn’t happy with them (Lu 9:54). “That’s not my spirit,” he said. Paul is saying the same thing. We are not to be in the vengeance business. That’s God’s business. An example may help. Jesus didn’t come to punish the Roman oppressors of Israel, but by surrendering to the Father’s will he participated in an endgame solution that dealt a death blow to the very heart of Roman sin. When we lash out we reveal Cain, but when we turn the other cheek we reveal Jesus who was vindicated by his Father. Because of Jesus every Roman oppressor, fraud, and bad guy, has an opportunity to walk away from the sin that bound them. But if they reject grace they will reap what they have sown – just not from our hand. Brilliant!! Dang NIV… So readable and yet so inaccurate! 🙂 Thanks Paul! Hi Paul, I am a frequent visitor to your site and I am glad you have commented on 1 Thessalonians 4:6 cause it has caused some trouble for me. You say God is not a punisher but an avenger. I have always thought an avenger means someone who takes revenge on another for wrong doing. Even though I am a Christian in Christ I am certainly still growing in Christ and still able to do some dumb stuff in the flesh such as attempting to seduce another man’s wife, I certainly regret it afterwards and I know that thankfully I am forgiven. But the question is should I be looking out for God to avenge that terrible act that I committed? We ALL do dumb stuff in the flesh and if God was in the punishment business he’d be busy indeed. But on account of Jesus you are eternally unpunishable. All your sins were dealt with at the cross. I suspect you are working with an old covenant definition of avenge if you think God is out to get you. As I say above, to avenge means God is in the business of making things right, not punishing his errant children. Well said… We can’t possibly believe that God has anything to do with punishment, because that brings fear. 1 John 4:18 – There is no fear in love, but perfect love casts out fear. For fear has to do with punishment, and whoever fears has not been perfected in love. That’s it, Dan. Thanks for weighing in. Would you please comment on Isaiah 45:6,7. In our fellowship, it is taught that God created evil. Thank you. Isaiah 45:7 is now in the index. Hi Sir Paul, I was thinking about Malachi 3, wanna know broader understanding about it in the light of Grace. It was preached by our pastor yesterday, and I totally disagree by what he preached. I was about to ask him about it but we’re not given a chance to talk face to face. This scripture is now covered in the index. sir please explain 7 last words of jesus on the cross…. i have heard many preachings on that but those were just self created doctrines…. so please help us to know all those precious words of our Lord Jesus. Paul, would you post something about Luke 9:26 “Whoever is ashamed of me and my words, the Son of Man will be ashamed of them when he comes in his glory and in the glory of the Father and of the holy angels.”? Does that mean people who are a little more shy or have more difficult in sharing the gospel with other people are in trouble? What does it really mean to be “ashamed” of Jesus? Hi Paul, have you thought about writing on 2 Tim 4:3-4? It’s been troubling me in some ways in order to really settle into the “Hyper Grace” teaching for fear that I am just wanting to satisfy what my “itching ears” want to hear. If you could point me in any direction, even externally from your blog, to reconcile Hyper Grace and this passage, that would be greatly appreciated! I hear this a lot too – hyper-grace being dismissed as ear-tickling preaching. Which is kind of funny since Paul has just admonished Timothy to “be strong in the grace that is in Christ Jesus” and finishes his short letter with “Grace be with you.” Paul brackets everything he writes with grace. Ear-tickling teaching is any message that leads us away from relying on God’s grace and trusting in dead works. Hi Paul, I appreciate the response. I agree with you that Paul always saturates his letters with grace. However, as much as I want to believe your interpretation of ear-tickling, I don’t know if it’s the correct exegesis of that passage IMO. This isn’t a knock on you; I want to work through this and I genuinely value your response(s). I fully believe in the Hyper Grace message. Jesus continues to change my life through it. So grateful. But, when Paul says how ear-itchers “will accumulate for themselves teachers to suit their own passions” and that they will turn away from the truth, it sounds more like people (myself included) who want to hear “grace, grace, grace.” I turn to Joseph Prince, your blog, Steve McVey (recently), and others like Graham Cooke. It makes me wonder if I’m looking to have my ears tickled. Paul even mentions how sound teaching includes “rebuking,” which I don’t understand how to reconcile with Hyper Grace. What do you think “myths” (v. 4) is referring to? Is Paul wanting Timothy to be aware of this false way for the sake of unbelievers (imp. from v. 5) more than believers? I cringe as I question Pure Grace teaching b/c it doesn’t seem in line with the heart of Jesus to swing to the other side of the pendulum to desert the Good News (as we know it). I just want to be able to stand firm without wavering or questioning Hyper Grace. Thanks! Well if it makes you happy, I’ll rebuke you for being slow of heart to fully believe this good news and for suggesting that Jesus preached two gospels. Seriously, I have plenty of opportunities to rebuke people who prefer the dead works of dead religion to the gift of free grace. I also have opportunities to rebuke those who foolishly believe grace is a license to stick their fingers in the sin socket. When you first heard the undiluted gospel of grace, that feeling you had was not a tickled ear but a happy, responsive spirit. Joy, in other words. Don’t dismiss it, for that is a fruit of grace, a sign to make you wonder. The natural man has no time for this hypergrace message. He doesn’t want to hear that his good works count for nothing. He wants principles for living and keys to success that he can implement as he works his way up the ladder of self-improvement. He thinks that if he does the right things and makes the right decisions he’ll create the right life. But that’s a myth for ticklish ears. In 1 Thess 4:8 Paul is saying that his instructions are the will of God. “It is God’s will that you should be sanctified: that you should avoid sexual immorality” (v.3). So if you ignore the instructions, you are acting contrary to God’s will. He is not saying God will stop loving you, cut you off, or send you to hell. All sin is contrary to God’s will. He’s your loving Father and he does not want to see you destroy yourself and others by sowing to the flesh. Perhaps there are some who might teach that sexual immorality is okay, or that grace gives us a license to sin. This scripture refutes such an ignorant teaching. Sin is dangerous, like juggling hand grenades. It has no place in the abundant life that Christ gives us. Jona 2:3 For You cast me into the depths of the seas, and the current surrounded me. All Your breakers and Your waves passed over me. Hi Paul, I had a read in your book “Hyper Grace” regarding 1 Corinthians 3:16-17, however you did not quote the part where Paul says, “If anybody destroys God’s temple, God will destroy him”. What is your view on this piece of scripture in light of God’s grace? “Do you not know that you are a temple of God and that the Spirit of God dwells in you? If any man destroys the temple of God, God will destroy him, for the temple of God is holy, and that is what you are” (1 Cor 3:16-17). Paul is not saying God kills murderers or soldiers. The word for destroy means defile. Under the old covenant, defiling the temple was a serious sin. Indeed, Paul had some personal experience of this when he was falsely accused of bringing Gentiles into the temple in Acts 21:27-28. He was nearly killed for this alleged sin. The old law was a shadow of a new covenant reality. The temple – you – is holy, and God takes a dim view of those who would try to defile you by causing you to pursue dead works, fall from grace, and cut yourself off from Christ. What happens to such people (ie: false teachers who seek to harm the church)? Jesus tells us plainly in Matthew 7:21-23 just as Peter does in 2 Peter 2. Thank you Paul. Your answers are so refreshing, I love keeping up to date with your blog. Keep shouting in public what you hear whispered in secret. Thank you for who you are. God bless. Off the cuff, it sounds like bad times are coming to Samaria! Thanks. I looked at that scripture again because I couldn’t see the problem. I still can’t. The Lord is prophesying that bad things are going to happen; he’s not saying he’s going to rip babies out of wombs. The wages of sin is death. Sow to the wind and you’ll reap the whirlwind. It reminds me of Jesus prophesying destruction over Jerusalem. Because Jesus saw it coming, everyone thinks he did it. Which is nuts. Thank you Paul for your insight and help, I appreciate it. I am still learning to read scripture through the right lens it’s just gets a bit confusing sometimes! Sorry for side tracking your question. I’m struggling to harmonize God the Father Jesus introduced, with God the judge Israel knew. Israel where offended and confused by God the son, and I think I am confused and offended by God who is angry, wrathful and retributive to the point of drowning, killing men women and their babies for sins common to us all. I have decided to believe (in the absence of knowledge) that God the judge never acts out of anger, revenge, hate, or jealousy despite the written Word to the contrary. This causes me a far bit of tension because of how I previously viewed people who took such a low view of scripture. Hi Jack, for me the bigger question is “what do we do with any(all) scripture that has God speaking words of vengeance, wrath, anger or genocide”. Jesus did say that men of old got things wrong when speaking on God behalf. . . They misrepresented the true nature of God. They wrote what they heard filtering through their imagination, their bias and their racism. They were just like us, they made God in their own image, so they imagined an angry vengeful god who shared all the same thoughts they did. Jesus said he was the exact representation of God, and then demonstrated loving his enemy loving those who aren’t perfect., forgiving those who do you wrong. Satan kills steals and destroys, does that make it clearer? Jesus came to clearly define his Father and Satan, but still we prefer a God who looks like he gets angry and genicidal. I understand what you are saying, however I struggle to wrap my mind around it sometimes. I truly believe Jesus is the revelation of God, but under the law there were certain judgements and punishments that came through the law. I.e if Israel sinned, God would punish them? Jesus does reveal the true nature of God, something the law could never do. However because of the law, Gods wrath came alive to sin? Therefore if people sinned, God responded with judgement? I’m still not quite sure how it all works if I’m honest, im seeking God and desire to know him so much. However these scriptures really confuse me sometimes and leave me questioning a lot! I’m not trying to diminish the nature of God when I say he doesn’t kill steal or destroy.
. . . But there is an accuser, and he points to men’s faults and demands a judgement. God put in place “legal” mechanisms (covenants, sacrifice, tabernacle system) to save Israel from judgement, temporarily. And then Jesus to save all men forever. . .if we will receive his provision. Men have misunderstood judgements as part of God’s wrath and anger. But judges are not angry, they are totally indifferent, real judges don’t favour their relatives, nor are they angry against their families enemies. I believe Israel’s problem was that they had judged themselves better than the inhabitants of the promised land. They measured out judgements and the same judgements were measured against them. Our Father provided a way for men to stand before the judge and be saved from judgement. It’s by the blood of the lamb and our testimony. Definitely a difficult text, too — especially with the mainstream explanations not really being helpful! I prefer the translation “permit to go” as it fits the context — people reject truth, and lies just come in naturally. It’s also similar to Romans 1 — people walk away from God, and God lets them go. I firmly believe that God is holy, just, and truth [John 14, 1 John 2:21] — it’s not holy or just for God to use pawns to do unholy, unjust, and untruthful actions. Thanks Paul for all your work. I have been looking for a grace commentary (There is a group called Free Grace that has one The Grace New Testament Commentary, however, it is a cessationist commentary) and I haven’t found a complete one yet but your scripture reference index is amazing. If you ever decided to take all of your commentaries and put it in a book form I would be the first in line. I personally have been re-evaluating grace in this season of my life. I appreciate all that you do and the patience you show with all the questions. Hey Paul, I enjoy reading your articles. Could you please do something for Psalms 5 verses 4-6. I see a lot of Christians use this saying God hates sinners and such. I just would like to read your thoughts on it. Good question — I dealt with (most of) these verses, too! The short answer is that this is referring to metonymy (refers to something else). Recall that everyone has (or used to) have a thing called the “flesh”. Before we have Christ, this is all we have, and it just sins and sins. But when we accept Jesus, we “died” since the old is gone [Col 3:3, 2 Cor 5:17]. In other words, the flesh is canned and in comes the Holy Spirit. When God says that he “hates the wicked”, he hates the flesh because our flesh is responsible for all our sin. This does not mean that God hates the creation. God loves us and wants us to be free from our own flesh. That’s why Paul (both apostle and Ellis) talks about how we died with Christ, meaning that the bad part is gone, allowing us to connect with God and go to heaven. Hi Paul, I’m not sure if you have a specific place to post questions on scriptures (I apologize if you do, I couldn’t find it). But I was wondering if the law that the Galatians were placing themselves under also included the law of animal sacrifices for the covering of sins. Thanks in advance, Paul. Could you please do an explanation for Luke 12:46, that was is tripping me up. Is it teaching one can lose salvation if they are not being obedient enough? Thanks so much for this platform sir. Was checking out for Jude 1:20 as it is a verse widely used to support speaking in tongues as “praying in the Holy Ghost”. Please help shed some light on this. God bless your ministry. Why do you have nothing for James 4:8? Nomad, why do you yourself have or know nothing about James 4:8? What’s your take on Psalms 2:12? What’s your take on Mark 4:12? It’s confusing. I learned that the verse is in reference to Isaiah 6:10 (also used in NT books). The verse is also confusing knowing God’s character — any explanation?